Paris is the capital and largest city of France and is often considered to be one of the most beautiful and romantic cities in the world. It is located in the north of the country on the banks of the River Seine . The city comprises one of Europe’s largest agglomerations and a primate city . 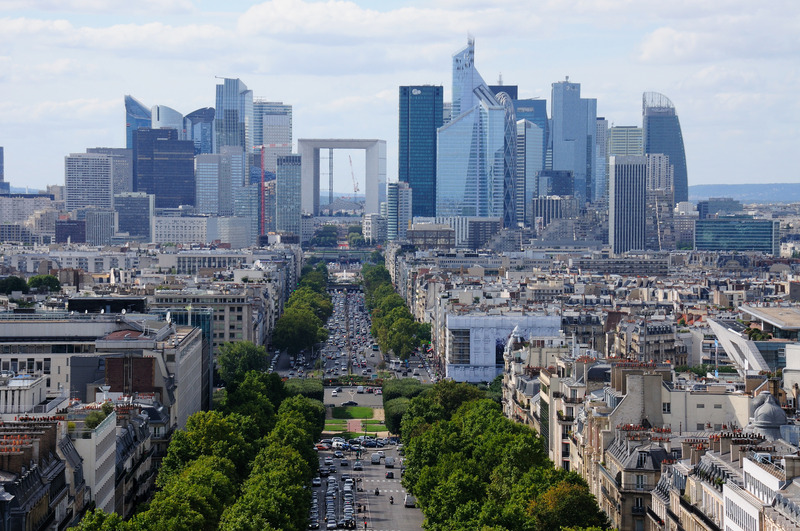 The city center – the City of Paris – is home to about 2.2 million people, which makes it the fifth-largest city in the European Union. Greater Paris, however, has a population of more than 12 million people and is either the second- or third-largest metropolitan area in all of Europe. The actual ranking varies depending on the area that is measured. The two other largest cities on the continent are Berlin and London. Paris has an extremely rich and long history: it was founded in the third century BC and for a long time, was the largest city in the western world. The University of Paris is the oldest university in Europe and the city is also home to a sheer number of museums, cultural institutions, fashion stores, and commercial buildings. It is an important financial hub. With a GDP of more than 600 billion EUR, Paris is the banking center in France and among the five wealthiest cities in Europe. In terms of tourism, the city is one of the most – if not the single most – visited cities in the world. 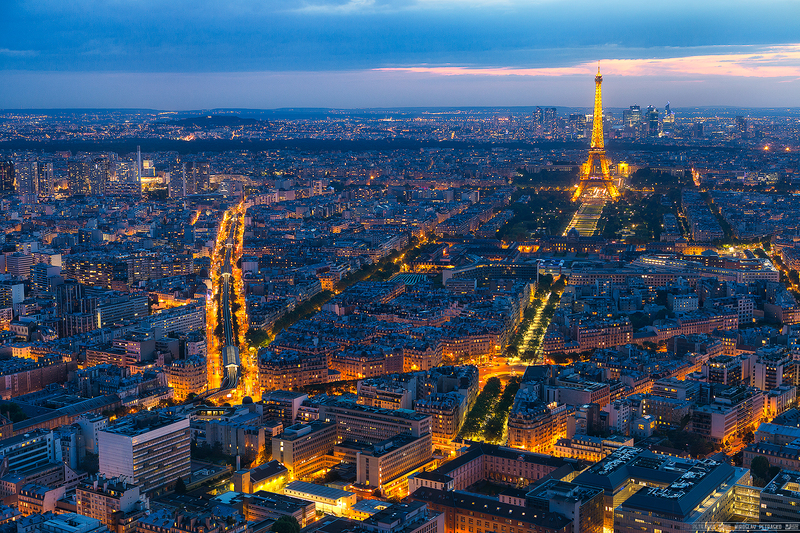 Home to several world-famous landmarks, Paris, also known by its nickname, The City of Light, attracts approximately 30 million visitors per year. Additionally, Paris is a culinary city as well, home to the world’s second-highest number of Michelin-starred restaurants, after Tokyo. 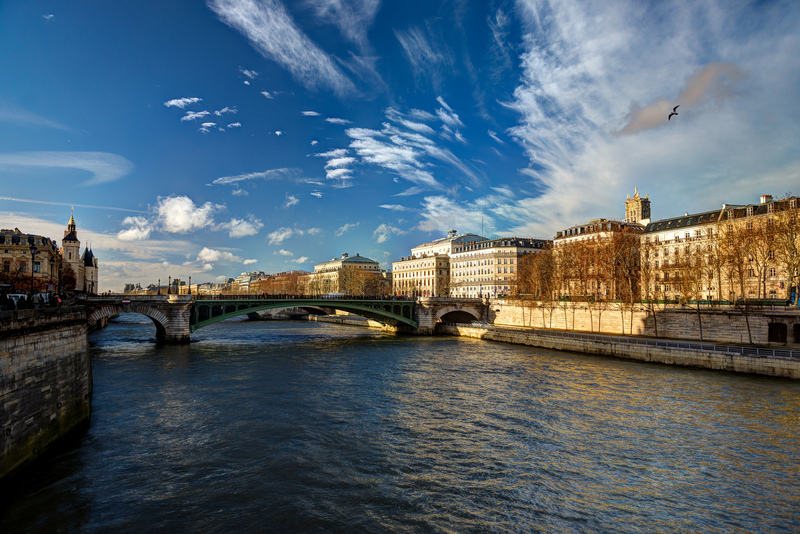 Most of the city center, including the banks of the River Seine, is a UNESCO World Heritage Site. The Paris area became inhabited by the Parisii tribe sometime around the mid-third century BC. It was settled at the intersection of a major trade route in the region and the River Seine. This place, an island in the river, is now known as the Île de la Cité and is the heart of old Paris. However, it wasn’t until the Romans conquered the settlement, in 52 BC, that it started to grow and become prosperous. The Romans established the city Lutetia, or Lutetia Parisiorum in full, on the left of the River Seine, an area that is now known as the Latin Quarter. Lutetia grew into a major city with temples, baths, and an amphitheater among other buildings, and by the time the Romans left it was known as Paris. In the mid-third century AD Christianity was brought to the city by Saint Denis, the first Bishop of Paris, who was later beheaded on a hill that came to be known as the ‘Mountain of Martyrs’, present-day Montmartre. After Roman rule ended, Clovis of the Franks took over. Clovis is considered to have been the first King of France. His descendants, known as the Merovingians, remained in control of Paris and most of France for almost 500 years, before they were replaced by the Carolingian dynasty and, later, the Capetians. By the late 12th century, Paris had grown into the French capital of politics, economics, religion, and culture. The Île de la Cité was where the royal palace was located and where, in 1196, construction of the Notre-Dame de Paris was begun. Around the same time, the University of Paris was founded, which became one of the premier centers of education in Europe, if not the entire world. Also, at the end of the 12th century The Louvre fortress was constructed, a structure that was later turned into a palace and a museum. Paris expanded and prospered over the course of the following centuries. Boulevards were built, bridges across the river constructed, and palaces sprang up like mushrooms. By 1789, the start of the French Revolution, Paris’ population was 600,000. In the 18th century Paris was the hub of the so-called Age of Enlightenment, a center of philosophy and science, as well as the financial capital of Europe. Significant events in that period of time are the storming of the Bastille, the French Revolution, and the rise and decline of Napoleonic France. The 19th century Belle Époque period once again brought prosperity and fame to the city. 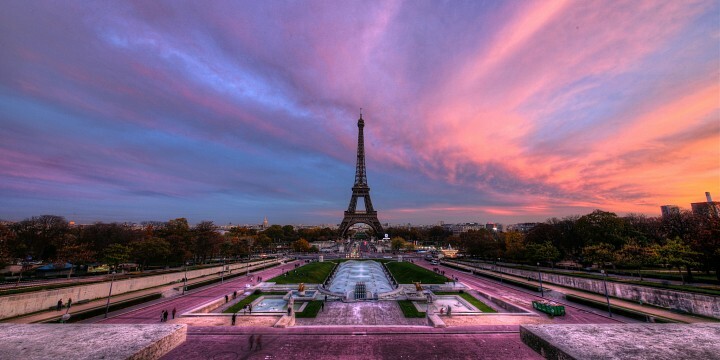 Structures like the Eiffel Tower, the Grand Palais, and Pont Alexandre III were built for a couple of World Fairs. Nowadays, Paris is a multicultural city, home to some of the world’s greatest architecture and museums. 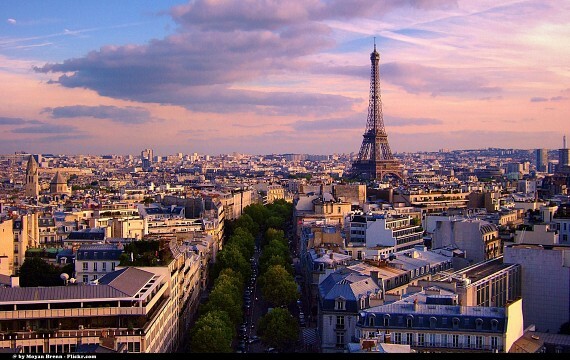 Paris is situated in northern France. It lies about 280 miles southeast of London, 190 miles southwest of Brussels, and 480 miles north of Marseille. 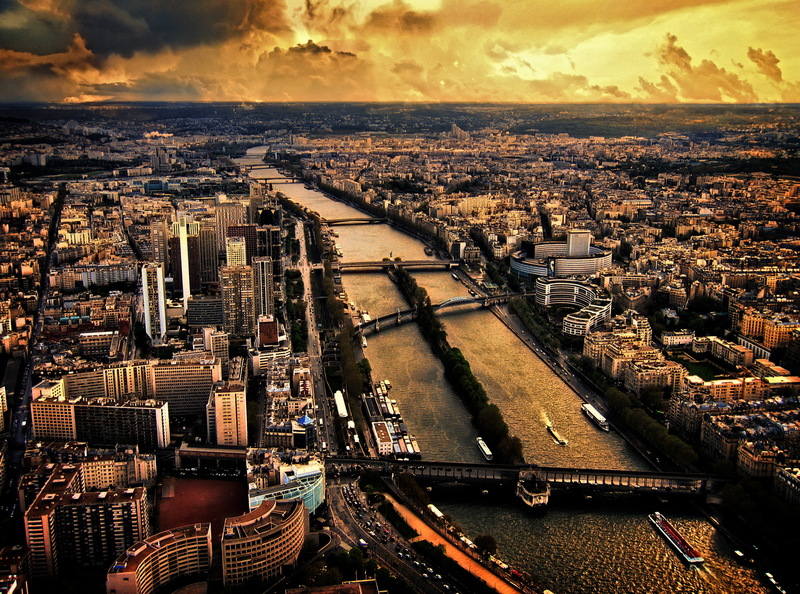 The city lies at a bend in the River Seine. 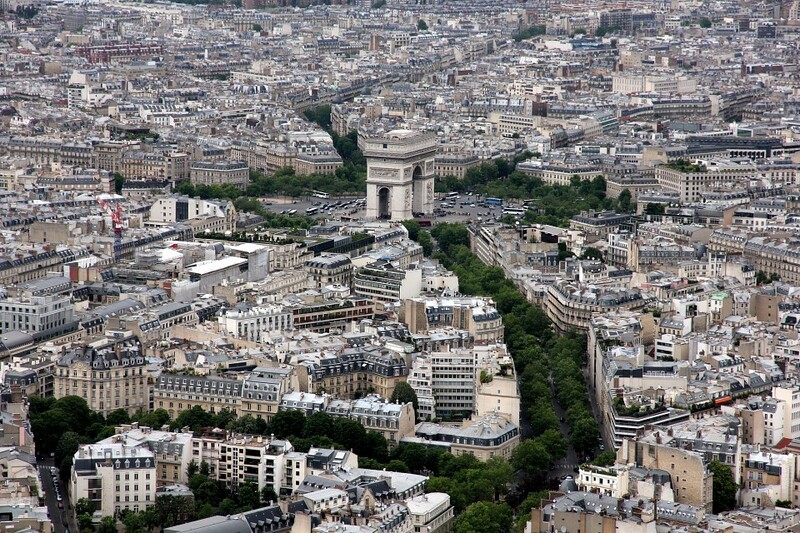 Paris covers 34 square miles and is a relatively flat city. There are several hills though, the most famous of which is Montmartre. Located in Western Europe, Paris is subject to a maritime climate. This means that summers are warm and winters are cool. The nearby Atlantic Ocean tempers extreme in temperature and supplies sufficient rainfall. Light rain is most common and occurs throughout the year. The Eiffel Tower, the icon and symbol of Paris, is the tallest man-made structure in the city, measuring 1,063 feet in height. Including its wrought iron framework and other non-metal constituents, it weighs 10,000 tons. As it is made up of iron – the tower is nicknamed ‘Iron Lady’ in France – the temperature can alter its height by almost 6 inches. This tower is scientifically important too. Antenna for radio telegraphy is mounted on its top. Many experiments for temperature and pressure were performed here. Romantic souls from all over the world are attracted to this impressive monument. Tourists love climbing up to the top of the tower and dining there. The total number of tourists has been estimated to be about 250 million. 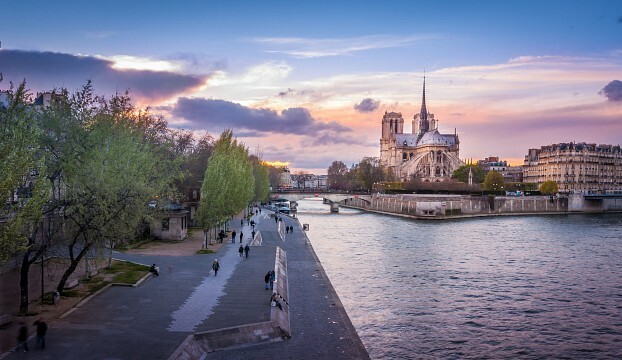 The Notre-Dame de Paris Cathedral lies in the middle of the Île de la Cité and is one of the most famous cathedrals in the world, and a magnificent example of Gothic architecture. Made famous by numerous novels, among which the most known is probably Victor Hugo's Notre-Dame de Paris, it is the most visited landmark in Paris and even in the entire world. 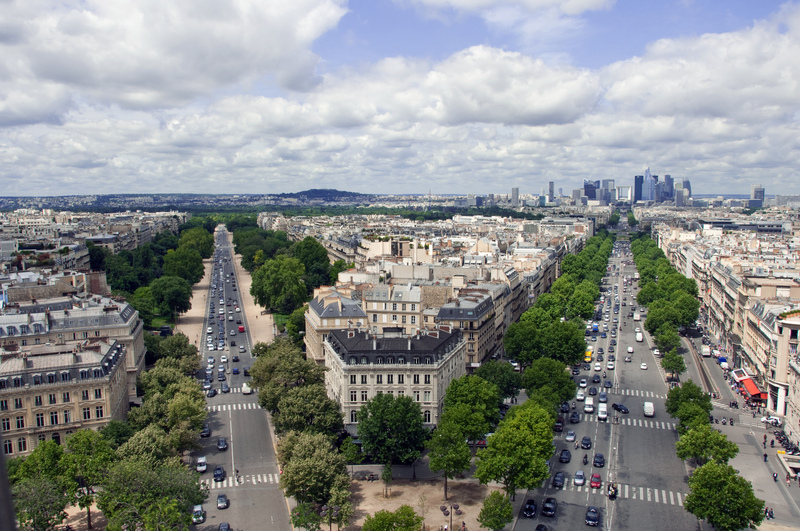 Arguably the world’s most famous road, the Champs-Elysées extends for 1.2 miles from Place Charles de Gaulle, with the Arc de Triomphe, to the Place de la Concorde, with its Luxor Obelisk . 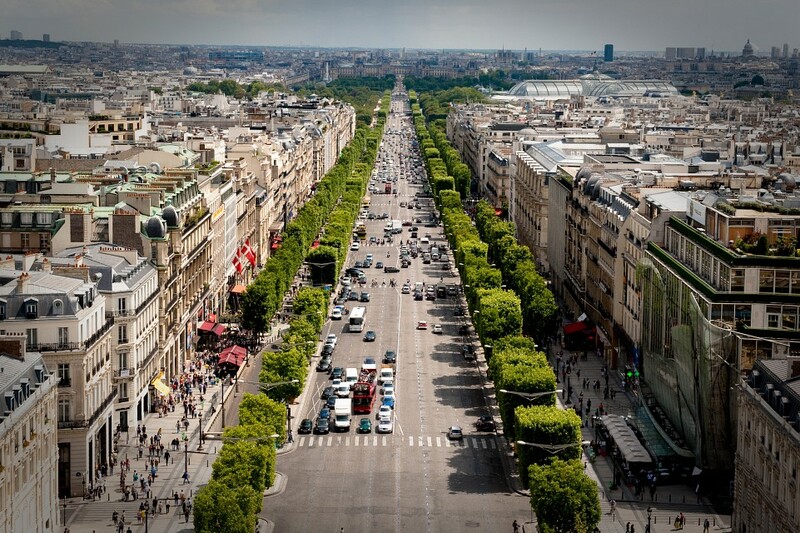 The avenue is about 230 feet wide and is well-known for its luxury stores, theaters and cafés, most of which are found at its western end, near the Place Charles de Gaulle. The eastern end is bordered by the Jardins des Champs-Elysées. These gardens are home to the Grand and Petit Palais and several restaurants, and consist of beautifully landscaped gardens with fountains. Another building in the gardens is the Elysée Palace, which has been the home of the French President since 1873. The name ‘Champs-Elysées’ is French for “Elysian Fields”, which, in Greek mythology, was the paradise for fallen heroes. A former palace in central Paris, The Louvre is now one of the world’s most famous art museums. It is also one of the largest museums in the world and a historic monument. It is one of the major landmarks in Paris and is located on the right bank of the River Seine in the heart of the city. The museum (Musée du Louvre) has a collection of more than a million works of art, 35,000 of which are on display in three wings of the former palace. Some of the most famous artworks in the Louvre are the Venus of Milo, the Dying Slave by Michelangelo, the Nike of Samothrace, and the Mona Lisa by Leonardo da Vinci. The Louvre is the most visited museum in the world and receives almost ten million visitors per year. 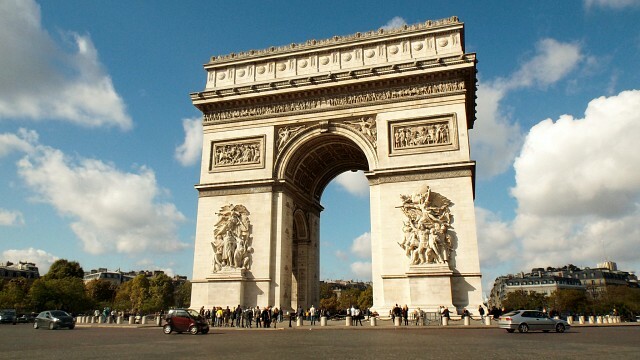 The Arc de Triomphe, probably the most famous of triumphal arches in the world, is located in the heart of Paris and stands at the center of Place Charles de Gaulle, which is a gigantic roundabout that connects no less than twelve roads. The arch stands at the end of the Champs-Elysées and forms the end of the so-called Axe Historique (Historic Axis), a series of monuments and boulevards running from the Louvre to the Grande Arche de la Défense. This magnificent arch honors the people who fought for France. More specifically, it honors those who fought in the French Revolutionary and Napoleonic wars. The inner and outer surfaces of the monument are inscribed with the names of all French victories, such as the battle of Aboukir and Austerlitz, and generals. Underneath the Arc de Triomphe lies the Grave of the Unknown Soldier from the First World War. The style of the arch is completely conformed to the architectural styles and tradition of sculpture from the first half of the 19th century. The best known relief on the arch is the ‘Departure of the Volunteers in 1792’, better known as ‘La Marseillaise’, representing the August 10 Uprising and the cause of the First French Republic. The Arc de Triomphe is 164 feet high, 148 feet wide, and 72 feet deep, and was designed after the Arch of Titus in Rome. The Sacré Coeur Basilica, also known as the Basilica of the Sacred Heart or just as Sacré Coeur, is a huge Roman Catholic church in a Roman-Byzantine style in the district of Montmartre. It is located at the summit of a hill, which is the highest point in the whole city, and offers spectacular views. The beautiful basilica is a major landmark and has both a political and cultural purpose. The district of Montmartre – Mount of Martyrs – has always been the progressive part of Paris, home to many artists, rebels, and free spirits. It has also always been a place of worship; from the druids of Gaul to the Romans and their temples and 12th-century Church of Saint Peter. The area, however, was still a small village when the new basilica was built in 1873. Covering more than 21 acres, the Place de la Concorde is the largest public square in the city. It is located in the eighth arrondissement along the River Seine and separates the beautiful Tuileries Garden and the majestic Champs-Elysées. The square lies at the intersection of two major axes. 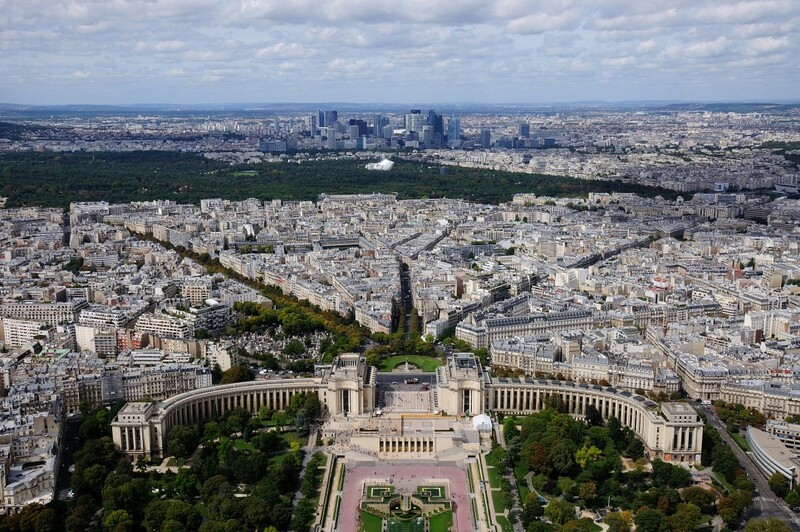 The first axis is called the Voie Triomphale and extends in a perfectly straight line from The Louvre, past the Arc du Carrousel, through the Tuileries Garden, along the Champs-Elysées and to and beyond the Arc de Triomphe. The second axis runs from the Place de la Madeleine to the Palais Bourbon. 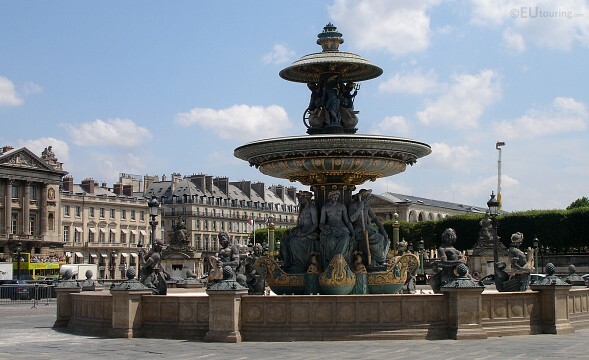 Originally named Place Louis XV, the octagonal square has played a significant role in the history of France. During the French Revolution it was known as Place de la Révolution. Nowadays, the square is home to a massive 3,200-year-old obelisk and numerous sculptures and statues. Centre George Pompidou, or Centre Pompidou in short, is an easily recognizable and rather bizarre building in the Beaubourg area in the fourth arrondissement. The building’s exterior consists of colorful pipes, ducts, and frames. It looks like it has been turned inside out, which is technically true. The complex is named after Georges Pompidou, President of France between 1969 and 1974, who launched the idea of establishing a new cultural institution dedicated to modern art. The building houses the massive MNAM, which is one of the largest museums of modern art in the world and effectively the largest in Europe. 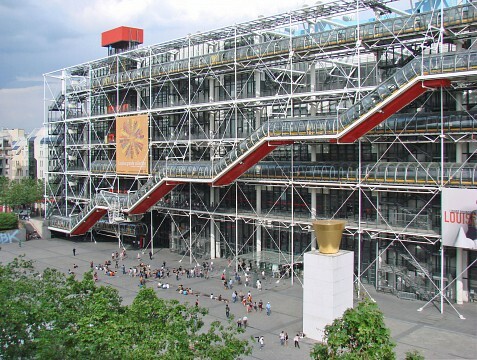 Centre Pompidou is not only about art though, but is a hub of culture in general. The complex also includes an enormous public library, a movie theater, a book store, a center for music and acoustics, and a panoramic terrace. The Musée d'Orsay is an art museum in the city center in Paris. 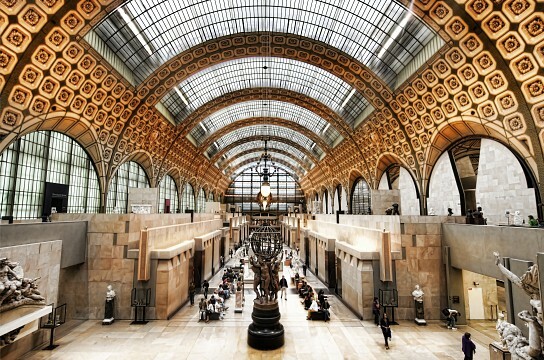 It is located in a large, old railway station on the left bank of the River Seine, the Gare d’Orsay, that was built between 1898 and 1900 in stunning Beaux-Arts style. It is one of the most-visited museums in the world and houses the world’s largest collection of impressionist and post-impressionist art and also covers other art styles, such as expressionism, neoclassicism, romanticism, and art nouveau. The collection includes not only paintings, but also sculptures, decorative objects, and photographs. The museum is focused on French art from 1848 until 1914. The Musée d’Orsay offers visitors the opportunity to look into the birth of modern art, including painting, sculpture, photography, and design. Masterpieces in the museum include works by world-renowned artists like Cézanne, Degas; Renoir, Van Gogh; Gauguin, Toulouse-Lautrec; Monet, and Manet. 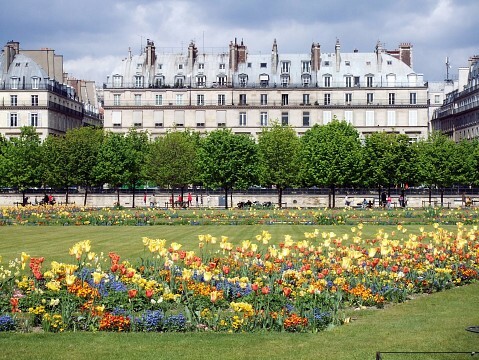 The Tuileries Garden, or Jardin des Tuileries in French, is one of the most-visited parks in the city. 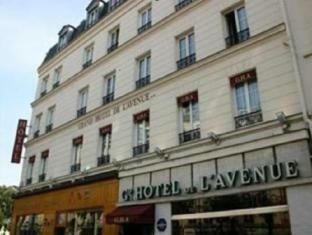 This is thanks to its central location between the Louvre and the Place de la Concorde. The garden was created by orders of Catherine de Medici as the garden of the Tuileries Palace in 1564. The Tuileries Garden is part of the historic axis that leads from the Louvre to La Défense and also includes the Arc de Triomphe. It features numerous fountains, two large basins, dozens of sculptures, and even two museums, the Galerie Nationale du Jeu de Paume and the Musée de l’Orangerie. The two buildings that houses the museums are the only remains of the original Tuileries Palace. The Grand Palais des Champs-Elysées, or just Grand Palais in short, is a huge exhibition hall and museum in central Paris. Located on the Champs-Elysées, the Grand Palais covers 775,000 square feet and is famous for its enormous shiny glass roof, the biggest in Europe, making it easy to spot the building from afar. 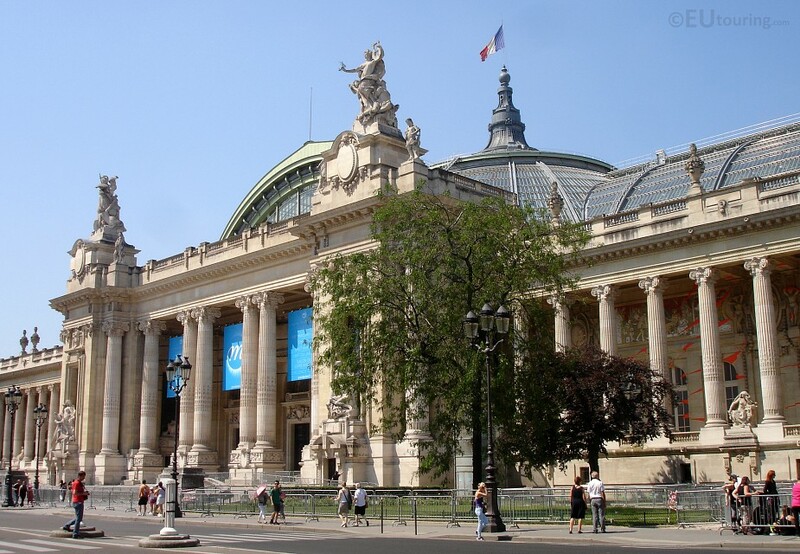 The Grand Palais was built for the 1900 Universal Exposition. Other structures that were built at the same time were the Petit Palais and Pont Alexandre III. The building is home to the National Galleries, the Palais de la Découverte, and several annual exhibitions and shows, including fashion shows hosted by Chanel. There is also a restaurant and a large police station in the basement. The main gallery’s purpose is displaying contemporary art, while other areas and halls are used for everything between antique car shows to elaborate fashion shows. The Hôtel de Ville, “City Hall” in English, is where the local administration and government is housed. This imposing building is situated in the fourth arrondissement on the Place de l’Hôtel de Ville, formerly known as Place de Grève. It has been the seat of the Paris City Council since as early as 1357 and, just like the city, it has had its share of turbulent times. Besides housing the local administration and the Mayor of Paris, the building also serves a purpose as a venue for large official receptions. The City Hall is an enormous building and looks like a palace. Its exterior is decorated with 108 statues depicting renowned Parisians and 30 statues representing other cities in France. The interior is lavishly decorated and designed in a pompous Third Empire style. Features are huge chandeliers, stained-glass windows, and painted ceilings. 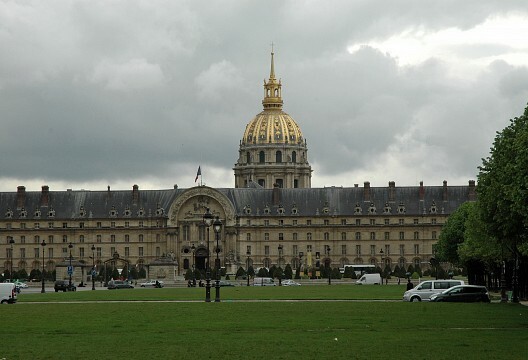 The Hôtel des Invalides, officially known as L’Hôtel National des Invalides, or Les Invalides is a building complex consisting of museums and monuments in the seventh arrondissement. The whole complex is related to the military history of France and also includes a retirement home for veterans, a military hospital, and the Musée de l’Armée which is the museum of the French army, the Musée des Plans-Reliefs, and the Musée de l’Ordre de la Libération, as well as a burial place for a few of France’s war heroes. The Place de la Bastille, “Bastille Square” in English, was the former location of the notorious Bastille prison. The prison was a fortress built in the 14th century to protect the city gates. The Bastille prison was stormed on July 14, 1789, the day that marked the beginning of the French Revolution. It was completely destroyed in the following year and not a single stone remains nowadays. The square is now marked with a sign indicating where the former fortress stood; a few stones of the foundations are still visible in the Bastille subway station. The square is bordered by three different arrondissements, the fourth, the eleventh, and the twelfth. The column that stands in the middle of the square, the July Column, commemorates the July Revolution and is a major landmark on the Place de la Bastille. Other important structures are the Bastille Opera, the Bastille subway station, and the Canal Saint-Martin. The Panthéon is a Neo-Classical building located in the Latin Quarter. Originally built as a church dedicated to Sainte-Genevieve, the patron saint of Paris, it now is a secular mausoleum of famous French citizens and heroes of. 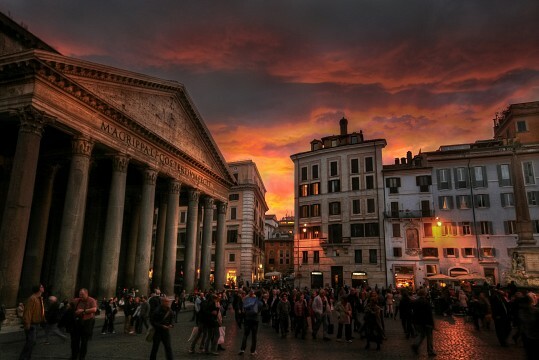 This imposing 18th century building is a great example of early Neo-Classicism and was modeled after the Pantheon Rome. The Panthéon is located on top of the Montagne Ste Genevieve in the fifth arrondissement and looks out over much of Paris. Several prominent Frenchmen are buried inside, including world-famous men such as Rousseau, Voltaire, Braille and Hugo, and one woman, Marie Curie. The Père Lachaise Cemetery is located in the east of Paris – it was formerly called East Cemetery – and is the largest cemetery in the city. Situated in the twentieth arrondissement, Père Lachaise is the first garden cemetery and one of the most famous burial grounds in the world. It is considered to be the most-visited cemetery anywhere on the planet. About one million people are buried there and two million people visit it every year. Not only renowned Frenchmen are buried there, but also many of the world’s greatest people in literature, arts, and science. Examples are Oscar Wilde, Chopin; Edith Piaf, Jim Morrison; Pissarro, and Balzac. The world-famous Moulin Rouge opened its doors about 125 years ago and has set the standard for cabaret ever since. It is the birthplace of the modern can-can dance, a seductive dance performed by a line of female dancers wearing costumes, high heels, long skirts, stockings, and petticoats. The dance features lifting of the skirts, high kicking and suggestive body movements. The dance has now evolved into its own type of entertainment and has led to the opening of other cabarets all over Europe. Located in the 18th arrondissement in the district of Pigalle and close to Montmartre, the Moulin Rouge is an important tourist attraction in Paris. 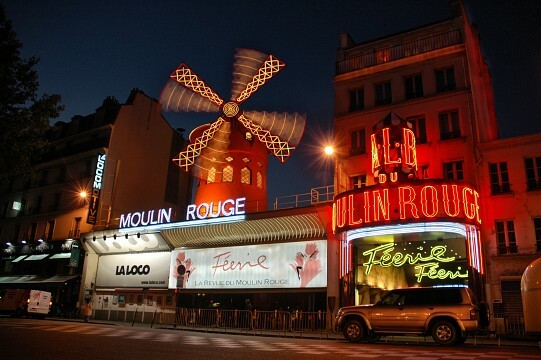 It offers nighttime entertainment and is easily recognized by the red windmill – a moulin rouge – on its roof. The River Seine is spanned by 37 bridges, some more stunning than others. The most famous bridges are Pont Neuf, Pont des Arts, Pont des Invalides, and the spectacular Pont Alexandre III. Paris is a paradise for shoppers. It is one of the great fashion centers of the world, competing with New York City and Milan, and home to several shopping centers, flagship stores, boutiques and department stores. The 8th arrondissement is where most of the high-end stores can be found. Highlights are the boutiques along Canal Saint-Martin and the beautiful arcades in Palais-Royal. La Marais is home to typical Parisian clothing boutiques, while Quartier Saint-Germain-des-Près has vintage clothing stores. More fashion is found at Porte-Maillot, Rue du Cherche Midi and Avenue Montagne, but especially the Champs-Elysées is lined with numerous luxury fashion stores. This is where you’ll find major stores such as Banana Republic, Nike; Levi’s, Hugo Boss; Versace, Giorgio Armani; Christian Dior, Dolce & Gabbana; Tommy Hilfiger, Gucci; Louis Vuitton, and so on. 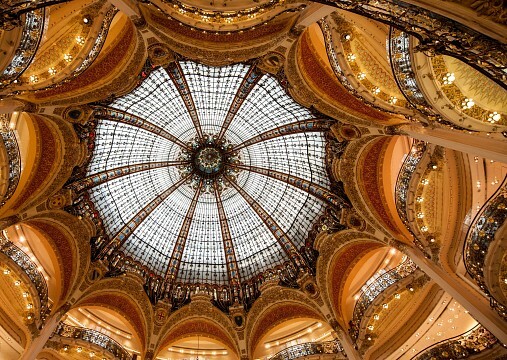 The upmarket Galeries Lafayette is in the 9th arrondissement. Arts and bargains can be found in the first and fourth arrondissements, while the most famous flea market is located in the 18th arrondissement. The Marché aux Puces de St-Ouen consists of stalls selling everything from antiques and vintage clothes to jewelry and art. Besides fashion and bargains, the city is chock-full with stores selling everything imaginable, from cars to household pets. Even though Paris is regarded as one of Europe’s major culinary cities, it is often not considered to be the French capital of cooking. Many Frenchmen consider Lyon to be the absolute number one culinary city in France. While Paris has had a restaurant culture for more than 200 years, in the past couple of decades it has been surpassed by cities such as San Francisco and Sydney when it comes to inventive cuisine. There are, however, hundreds of excellent restaurants to be found in Paris; it still is a leading culinary city in the world and probably always will be. It is, for instance, home to the second-highest number of restaurants that have a Michelin star in the world. That doesn’t mean there aren’t many bad restaurants though. As a tourist it is important to stay away from the crowded touristy areas if you want to explore Parisian cuisine. Eateries in those areas generally focus on money rather than food, and charge a lot for mediocre quality. Here’s a tip: if the restaurant’s staff speak English a little bit too well, it usually means the place is aimed at tourists. For an authentic culinary Parisian experience, try to find a restaurant that’s all French. Paris offers every kind of food you could possibly want. From budget food bought at open-air markets and vegetarian food to fine dining and classy gastronomic restaurants, you will find it in Paris. There is plenty of accommodation in the city. You have the option to stay at backpacker hostels, bed and breakfasts, luxury hotels, apartments, and even campsites. Nearly all accommodation types have high and low season prices. The high season falls roughly between early June and September and a couple of weeks during the winter holidays. Paris is served by no less than three international airports. 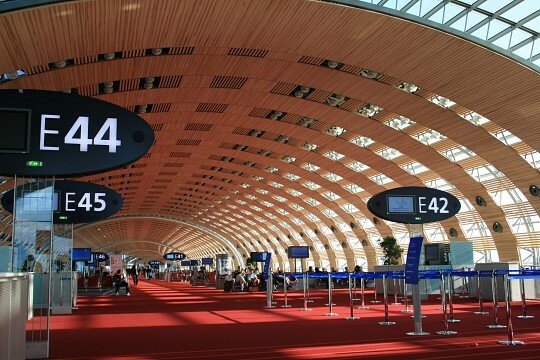 Charles de Gaulle Airport is by far the biggest one and is one of the busiest airports in the world. This is the airport used by nearly all major international carriers. Another major airport is Paris Orly Airport, connecting Paris to cities in all corners of the globe. Orly is the busiest domestic airport in France and the second-busiest airport overall. The third international airport in the city is the Beauvais-Tillé Airport, which is served by low-cost carriers in Europe. Despite being located in the central north of France, the Paris region is in fact the most active water transport region in the country. Most of the country’s cargo is managed by the Autonomous Port of Paris. The River Seine is a major river and is connected by canals to other rivers in western Europe, such as the Loire, the Rhone, the Rhine, the Scheldt, and the Meuse. Paris is also easily reached by train. 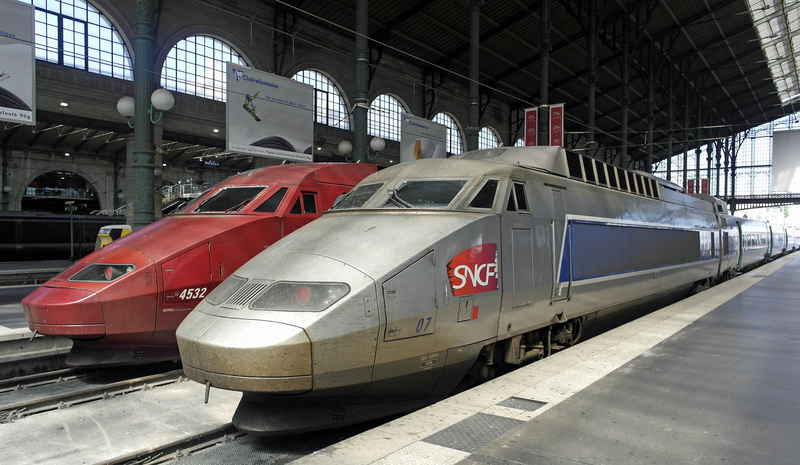 Particularly the high-speed trains (TGC, Thalys and Eurostar) that travel across Europe make it very easy to get to Paris from other major cities in France and in other countries. It is, however, important to know that there is no main train station in the city, but rather six separate stations that are not connected. The French network of highways is extensive: no less than seven major highways link Paris with the rest of the country. While it easy to get to the city by car, navigating it can be a hassle. Traffic jams are a daily nuisance and the lay-out of streets can be confusing. Getting around Paris is best done either on foot or by métro. Walking around is by far the best way to see the city; several major landmarks lie in the within walking distance from one another in the city center. Other attractions further afield are easily reached by métro, also a cheap and convenient way of getting around. Additionally, bicycles are a great way of traveling around as well. Parisians are used to bicyclists and bikes can be rented from various points across the city.